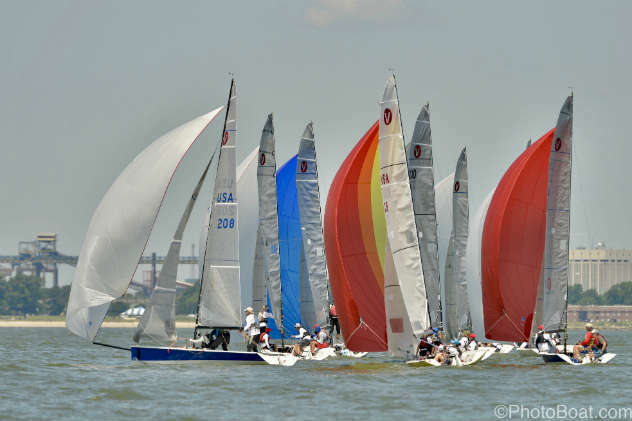 Wow—what a weekend for racing on the Chesapeake Bay! 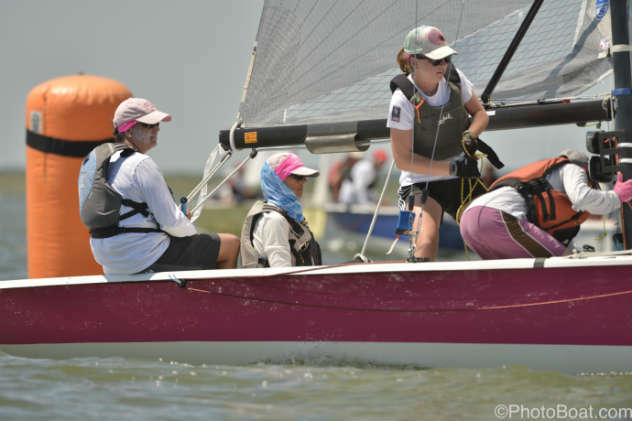 At the same time the Annapolis to Newport Race had its first start off Annapolis on Friday, June 2, competitors were already racing down at Southern Bay Race Week (SBRW) in Hampton. 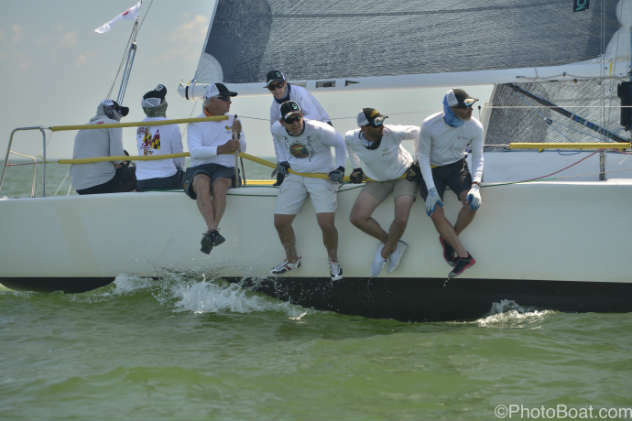 Then on Saturday, the Annapolis Leukemia Cup was contested off Annapolis. Here are the results and photos for all. 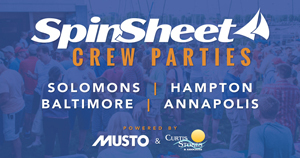 Annapolis YC hosted its skippers’ welcome party at the Dock St. Clubhouse on Thursday night, so competitors enjoyed cocktails and their last great land meal before the first start on Friday morning; a second start for faster boats kicked off Saturday. Fifty-two boats entered. 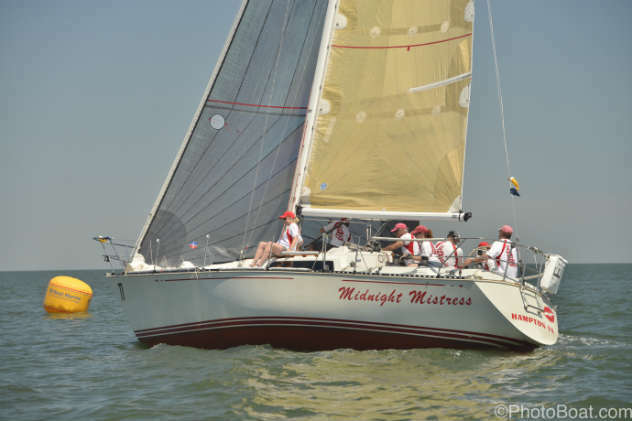 According to the event website and the A2N Twitter feed, the modified Volvo Open 70 Warrior owned by Stephen Murray, Jr. (Southern YC) was the first to finish the 475-mile race from Annapolis to Newport at 03:19:36 and took the course record! Looks like Black Pearl is the next to finish. FIND MORE PHOTOS FOR PURCHASE HERE. Find party photos by SpinSheet here. Find more on-water PHOTOS BY PHOTOBOAT here. This was the 25th anniversary edition of the Leukemia Cup in Annapolis and a joint effort by Annapolis and Eastport Yacht Clubs. Here are some photos by Dan Phelps and results. FIND PHOTOS FOR PURCHASE HERE. Dan Phelps was on the scene to capture this one off Annapolis. Find the photos and results here. We try our best but can’t always cover every regatta on the Bay. If you host a special regatta you think we should cover before or after the fact, please reach out to our editor. We will make every effort to provide coverage in the magazine and/or online. Thank you for reading SpinSheet! P.S. America's cup coverage comes next---as always, CHESAPEAKE FIRST!